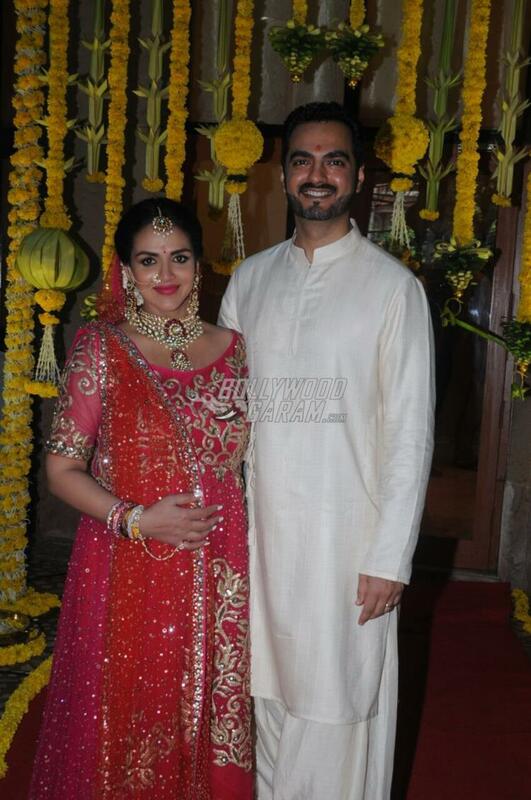 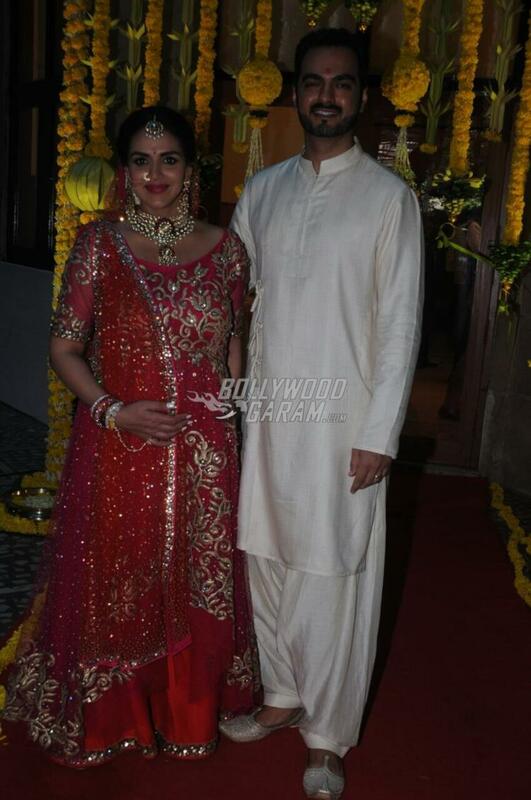 Veteran actress Hema Malini’s daughter Esha Deol, got re-married to husband Bharat Takhtani on August 24, 2017 on the day of her baby shower. 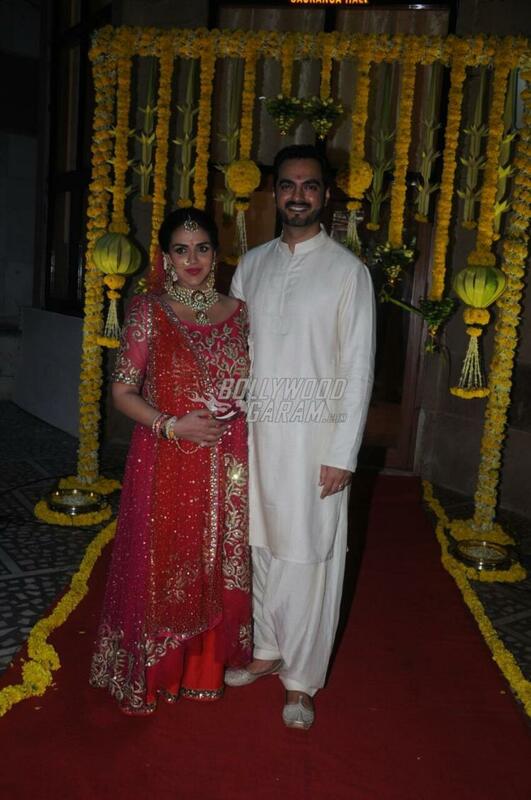 The Yuva actress did not leave any stone unturned in making the day special and was seen wearing a gorgeous bridal outfit by ace designer Neeta Lulla. 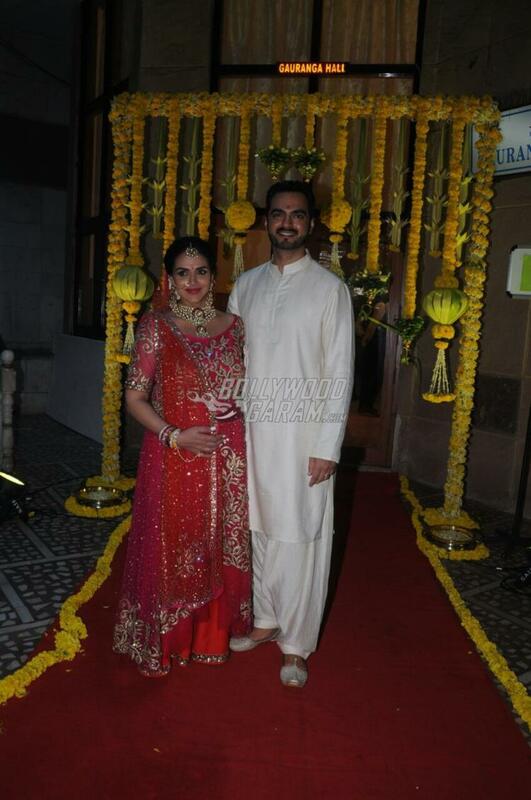 The would-be parents proudly posed for the shutterbugs outside their house in Mumbai. 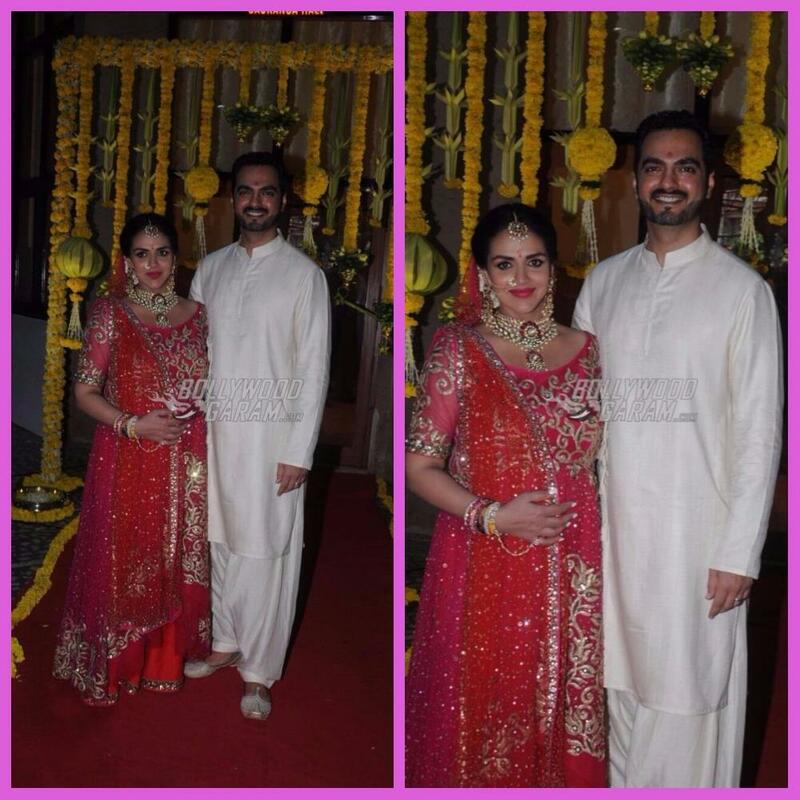 Esha was seen clad in a pink and orange asymmetric gown with heavy kundan jewellery while Bharat was seen in a white silk kurta and pyjama. 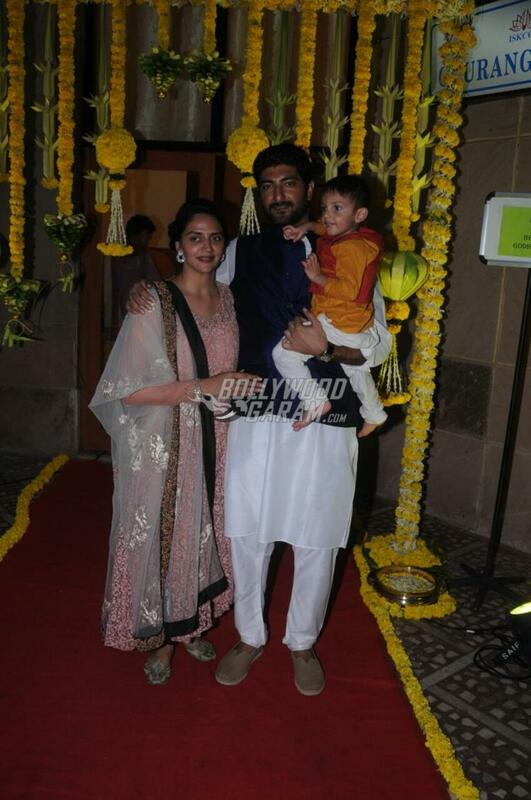 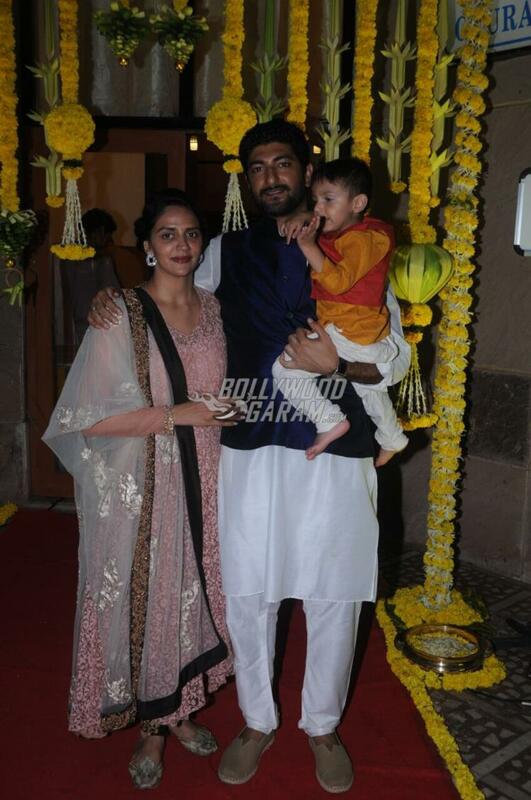 Esha’s sister Ahana, was also seen with husband Vaibhav Vohra and son Darien Vohra. 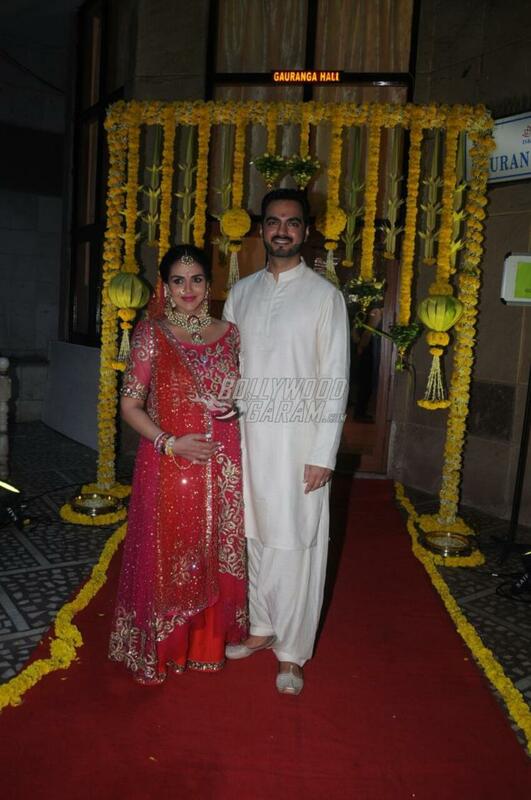 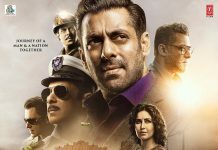 Bharat and Esha had first got married on June 29, 2012 in a lavish wedding ceremony held in Mumbai.